Oh, we keep meaning to pick some of our Halloween pieces to send you. Are drawings okay, in place of real photos? We hope ya liked the pictures we sent. 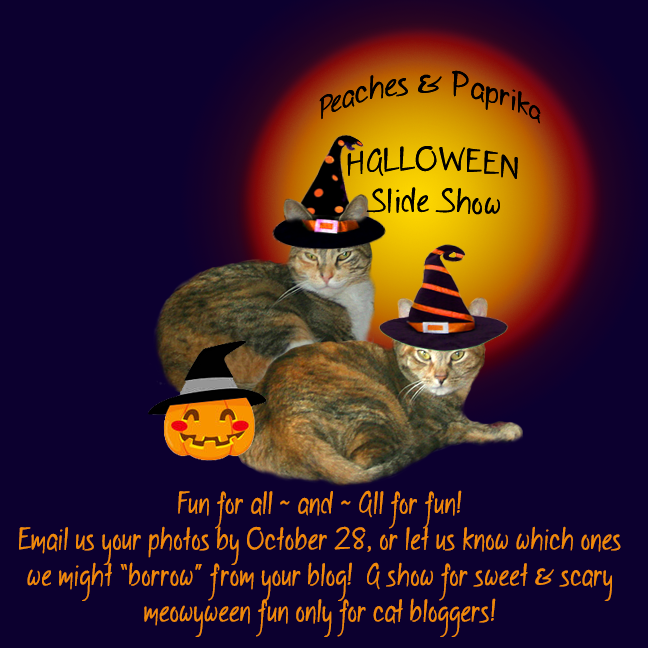 The total slideshow should be PAWSOME! This sounds like fun! Can't wait to see the photos! Im excited to see this!! Great idea :) thanks for sharing!